OCALA, Florida (AP) ― Jang Ha-na went from qualifier to leader in just a few days at the LPGA season opener. And it surprised no one. The 22-year-old South Korean, ranked 21st in the world, shot a 7-under 65 in the second round of the Coates Golf Championship on Thursday and opened up a four-shot lead over Stacy Lewis heading into the third round. 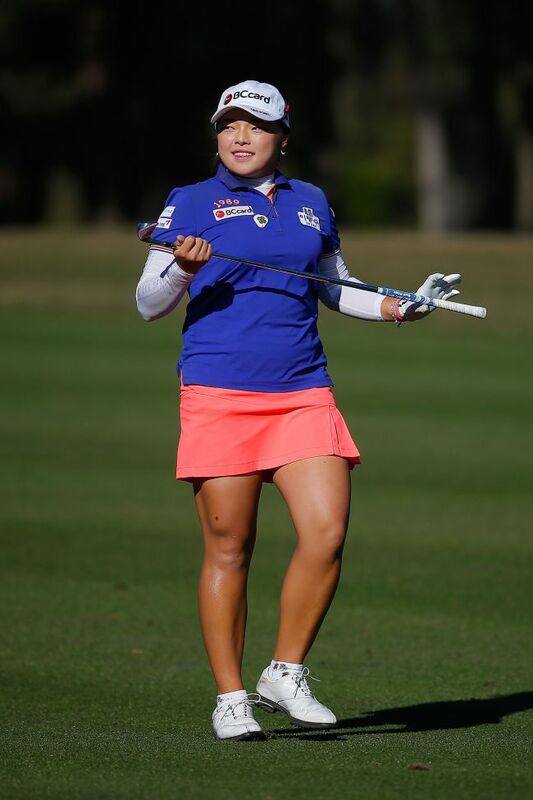 Jang has full status on the LPGA Tour. But because the opener isn’t a full-field event, she had to qualify last Saturday. Her extra time at Golden Golf & Ocala Equestrian Club certainly paid dividends. She made one bogey in two rounds, and responded to that miscue with birdies on two of the next three holes. “I hope to play well these next two days so people get to know who I am,” Jang said through an interpreter. The start of the second round was delayed 90 minutes because of frost, and the interruption prevented 50 players from completing 18 holes. They will return Friday morning to finish. Jang might not want to wait to get back on the course. She sank a curl-in, 25-footer on her final hole in near-dark conditions to get to 12-under 132. Although Jang is technically a rookie, she has plenty of experience. Her best LPGA finish was third in the 2014 Evian Championship last year. She also won six tournaments in five seasons on the KLPGA Tour and finished tied for 42nd at the Korean Women’s Open as a 12-year-old. Lewis, one of three players to shoot 66 in the opening round, was 8 under heading into Friday’s third round. SCOTTSDALE, Arizona (AP) ― The focus on Tiger Woods at the Phoenix open shifted Thursday from a chipped tooth to his chipping. Woods struggled mightily with his short game again, and it didn’t help that he only hit three greens in regulation on the front nine. He made three bogeys and a double bogey and made the turn in 4-over 39. In his 2015 debut, Woods already was 10 shots behind early leader Keegan Bradley, who had a 6-under 65. Woods is playing for only the second time since he missed the cut at the PGA Championship last August. He brought in a new swing consultant during his time off to heal from back injuries, and expectations were lower than usual for a player who has won 79 times on the PGA Tour. In his first trip to the Waste Management Phoenix Open since 2001, playing before the most energetic crowd at an American golf tournament since the PGA Championship, Woods created more groans than cheers ― particularly off the green. Just over a week ago, Woods was photographed in Italy at a World Cup ski race with a missing tooth from what he said was a camera inadvertently hitting him in the mouth. The chipped and cracked teeth were easy to replace. His chipping might be a different story. Woods also duffed a number of chips at the Hero World Challenge in December at Isleworth, the course he knows better than any other in the world.